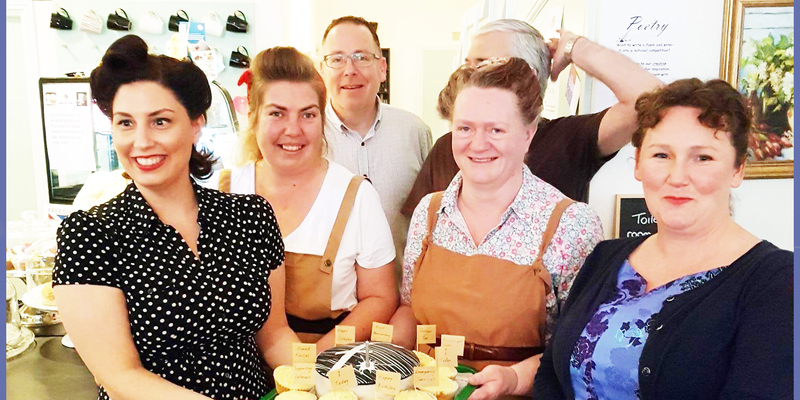 Gosport High Street’s veterans’ café was a swirl of skirts and Victory rolled hair earlier this month in a vintage themed commemoration of a successful first year. Guests enjoyed a birthday afternoon of live music and delicious homemade fare while raising money for veterans. Sharpe’s café on the High Street is one of several across the UK run by FirstLight Trust, a charity helping former members of the armed forces and emergency services adjust to civilian life. It was designed to be a hub with veterans and the community at its heart, serving tasty cakes and quality coffee with a smile. In the past year the café has celebrated Gosport Collectors Week in May and Armed Forces Day in June. They joined in with a stand at the Hapi Festival, helped Brune Park School out with mess tins for its 1940s-themed prom and hosted a talk about the Battle of the Somme in National Heritage Week.